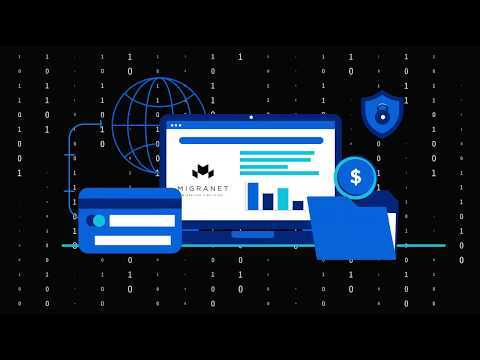 I have got the chance to speak with the team of Migranet. Management and the Migranet team have the vast experience in immigration and blockchain. Vision of the company is very clear, they are working hard to achieve that. The vision of the project is certainly a good one and if it were to succeed, the world would certainly be a better place. But there are thousands of aspects that need to be revised when trying to develop such an ambitious project, combining Blockchain with AI is not a simple thing and to make them work to their maximum you really need to find the perfect joint between the 2, if you then have to face them also other important aspects, as well as laws and positions of the various world governments, which do business of billions of dollars daily with migrants, then it becomes very very difficult. The migration problem is a very very large and important one and certainly not solved with an ICO and a 75M hardcap, that's for sure. Arriving at the details of the project, we said that the vision is a very noble one, but it seems to be in a very early stage and we cannot give a definitive assessment yet. The MVP is a small form that filled in the various values ​​tells you whether you are fit or not (too short at the moment). The team is quite complete and experienced in the various departments, although in my opinion it lacks a little more Blockchain development experience in (I repeat, the project is very complex and ambitious), while I failed to verify the background of the team member who is presented as Blockchain Developer. The community is completely missing, while updates/news from the team are not daily, perhaps before activating a premium here or on other similar portals, you should concentrate on creating a powerful community, because it will be the one to act as ambassador on a worldwide scale for your project. Github is still empty too, there are no reference points, not even ICO details or token creation. Good luck in the Crowdfunding, I'll be happy to see the improvements coming during your journey. Firstly, we would like to express our deepest appreciation for taking the time to review our project on ICOBench. Unbiased and candid reviews are always welcome, as we see them an important avenue to constantly improve. We were very excited to read your detailed review and really appreciate your honesty. But at the same time, we are concerned that you may have overlooked key strategic points regarding our project. We understand and value your perspective and perhaps we didn’t make these key points clear enough in our presentation. If that’s the case then we would like to take this opportunity to clarify some of the points you highlighted regarding the Migranet project. In an effort to open some constructive and informative dialogue between us, we decided to dissect your review piece by piece and give clarification for each point we feel we have previously addressed in either our whitepaper, pitch deck, videos, or on our official website. We fully agree that there are vast intricacies involved in marrying AI with blockchain technology. Please allow me to shed some light on where AI will be applicable and where the blockchain part will come in. AI will be responsible during the initial phase when an applicant is filling out the immigration application form. Machine learning algorithm will assess the information provided by the applicant and recommend host countries that the applicant is qualified for. Blockchain will be used for immutability. Our development team has blockchain developers and AI specialists who have worked on large crypto exchange projects where the AI and blockchain merger was a key requirement. We are very confident our team is up for the challenge. As you can see by our answer to point 2 above, our focus is to automate the application process and to enhance the end-user experience by simplifying the process. At present immigration, practitioners charge significantly higher fees for helping migrants with their immigration application. Think of Migranet platform as using turbo tax, instead of going to an accountant for simple tax purposes. For complicated issues you still need to see the accountant, similarly, you will need immigration practitioners for more complicated cases. Migranet will vet these practitioners to ensure only the best ones are used. The automation process of Migranet also ensures that when practitioners are needed, their services will still be substantially lower as much of the work has already been done. The MVP is not just a form, there is a machine learning algorithm in the backend. The algorithm is based on 1300+ used cases for one of the most popular immigration classes in Canada. Currently, we are feeding more data to the AI as we develop it further for Canada and other countries. Our intent is not to develop immigration solution for every country in the world. Our intent is to automate and simplify the immigration process for the countries where most people prefer to migrate to, for example, Canada, US, UK, Australia etc. Thank you for the confidence in the team, we have real professionals whose personal reputation is at stake. Regarding the blockchain development team, we have updated the link to the developers GitHub where you can see their past experience as well. Thank you for identifying that. We accept this point wholeheartedly and feel community growth is our next big mission. Our team has been busy with the development of the AI which seems like a simple form, but the ML algorithm is built with 1300+ use cases for one of the most popular immigration classes in Canada. Our focus now is to continue to develop our AI and to build a robust community. We do, however, have to date over 560+ members on our telegram, 1700+ on Twitter. We recently started our marketing campaign because we truly believe that funds should go towards development first and then to other areas. Our key focus is to deliver a working product fast, that will impact millions of lives around the world. We agree with you, that was a miss on our end. We have now added code to the GitHub. Thanks for identifying that. Hopefully, we have highlighted the major areas we viewed as being misunderstood or not accurately represented in your review. We write to you in the hopes that this open dialogue will work towards creating a better understanding of our project with the acknowledgment that your understanding is of paramount importance in this effort. Please feel free to continue this dialogue as we are always open to more explanation of the project and dedicated to continuous improvement. Thank you so much for your time and understanding! You can maximize the potential of this product by using the best marketing team for spreading your vision. Mass adoption is the key to success, everything else is preparatory to the work ahead. Best Wishes. migrants and migrant practitioners face globally. The project introduces MIG, a unified utility token for payment of services on Migranet which sits on the Ethereum platform. The project identifies and resolves payment issues including no access to credit cards, high conversion rates, delays in the transfer of funds, and high banking fees. industry. Also most of them do not include a connection to Migranet in their LinkedIn profiles. There are 12 Advisors included but their level of involvement in the project is unclear. They do appear to be professional with strong titles but as always do your due diligence. dated February 1, 2019. There is no indication of previous dev work or research. A newly conceived idea adds risk. The product is not forecast to launch an Alpha release until Q2 2020. Currently the MVP is a form to add profile information and reset. The Apply Process is questionable at best. According to the white paper "Once the migrant selects their country of choice, they apply for their desired status. The fee is withdrawn from the MIG wallet ($500 for permanent residency, $150 for all other forms of migration)." There is also a $250 credential assessment fee. Does this flat fee apply to all countries? What about the government fees? Are the charges refundable if not approved? There is no track record to indicate success or acceptance. There is a 47 page whitepaper which is helpful but light on the important details. This includes AI, relationships with partner organizations, and identified governments or NGOs that have shown support or interest. is concerning. The $55 million delta means there is not a lot of detail in the projections. Also in todays market the successful $20 million ICOs are rare. The social community is weak and needs work to generate buzz and excitement. The most energy seems to be around the Bounty Program. status and quality of their presentation. I talked with one of the team member to help me understand in detail the concept behind it and i was glad to know that the team have a great experience in Immigration and also in blockchain. And am impressed by their concept. And after seeing their hardwork they put behind this am pretty sure they can achieve it soon. This project has a great vision. I had the possibility to chat with the founder, fully available to give me more information on Migranet. I think Migranet has substance and hope the best results for the team. In my opinion, they could have some problem with data protection once the project will be implemented in the European Area, due to GDPR. Blockchain could help solve the problem. Let's see what the solution will be! The project addresses a global problem, which is assistance with migration formalities on a global scale. The benefit of usage a blockchain technology when Migranet will be the main platform to connect lawyers and migrants is not clear (where is the decentralization?). The vision is strong but the execution is not clear. Apart from opening offices "embassies" the budget and a convincing marketing plan are not revealed. The ecosystem suggested by the MIG token is also not clear on the initial stage. Same result could be reached using a platform with existing crypto coins. Usage of own token might make sense on a later stage once there is an existing community. In this case it is concieved as a hybrid utility and payment token. The benefit of biometrics and AI, apart from marketing, are not clear. Biometrics can make sense in humanitarian disasters (eg. war) but don´t make sense in an ordered migration process. White Paper does not offer any legal information on the entity carrying out the procedure. Costa Rica is not known to be one of the most popular blockchain hubs for running and setting up an ICO. Team seems to have experience in migration procedures and previous ICO projects but may be lacking more international experience outside from Costa Rica. This project has a noble cause, I would be happy to see it pivoting and developing. This rating is only a personal view and does not constitute a recommendation to invest or not to invest.